Parliament will be cleaned up with higher standards expected of politicians under sweeping reforms to NSW's notorious bear pit set to be the first offering from Premier Gladys Berejiklian to the crossbench. "This is a fresh parliament, and a fresh government which lends itself to improving the way in which we conduct ourselves," Ms Berejiklian told The Daily Telegraph. 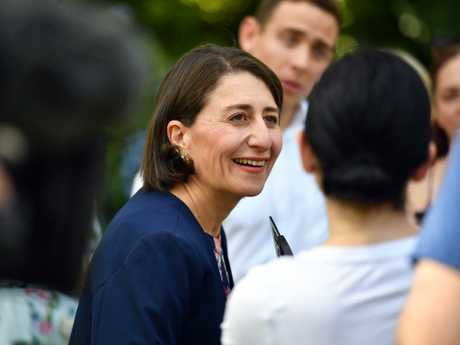 The re-elected Premier was yesterday confident the Liberal National Coalition would have the numbers to govern in its own right, but will still move to strengthen her relationship with the key NSW independents in a move that will insulate her from by-elections. The Coalition had 46 seats and needed 47 to govern in its own right. The government was last night expecting to secure Dubbo and East Hills to take their final count to 48. Newly empowered, the Premier also indicated she would shake of the influence of factional heavyweights, particularly when selecting her cabinet this week. "I've earned the right to surround myself with the best people and pick the best team," she said. The Premier said that being instilled with a mandate of the people would make her "more bold and courageous" as a leader, while remaining in touch with community sentiment. 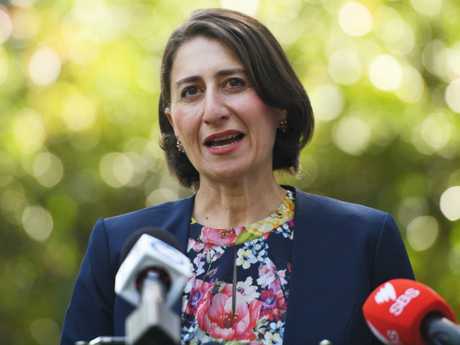 Ms Berejiklian said the parliament had not had significant reform in "a long time", which she said could include stricter rules for how it was run. 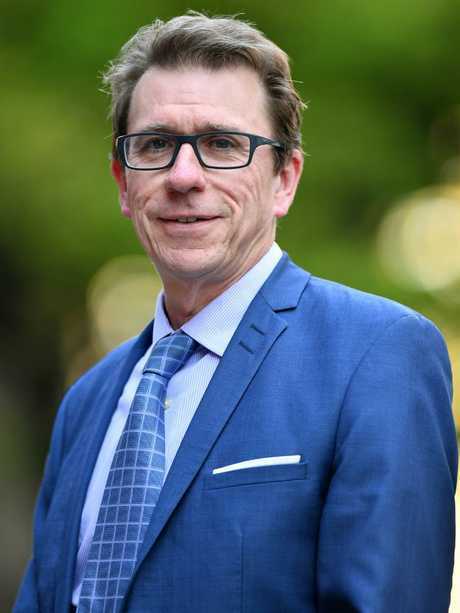 The Premier believes personally that many people can be disappointed when they see what happens in parliament, particularly its high levels of antagonism. The conduct of the parliament came under heavy scrutiny last October when Corrections Minister David Elliott raised allegations about then-Labor leader Luke Foley. Mr Foley then retaliated with a bizarre series of threats at a number of government ministers in which he pointed his fingers at them across the chamber, saying he would talk about "you and you and you". 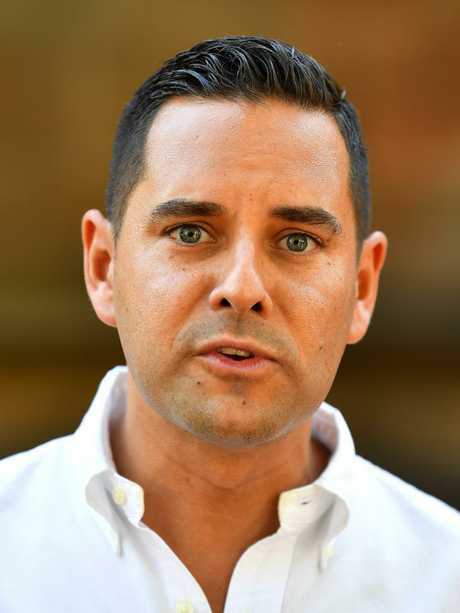 The three independents on the crossbench - Greg Piper, Alex Greenwich and Joe McGirr - wrote to both leaders a month ago calling for parliamentary reform. 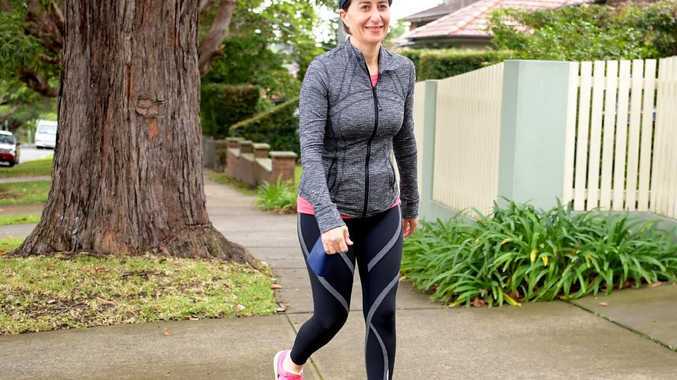 Ms Berejiklian said she wanted the parliament to be more productive "and spend more time dealing with the issues the community cares about and not just what politicians care about." This would also involve reforming the committee process and possibly the timing of questions and answers. 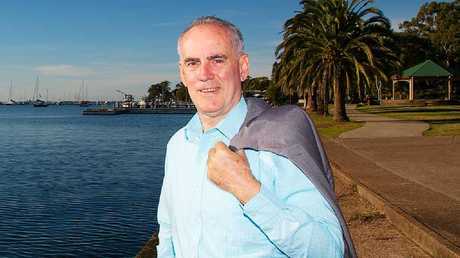 Independent MP for Lake Macquarie Greg Piper. It's understood the Premier will also consider moving question time earlier in the day and the cross bench has also asked her to consider changing the amount of time allowed for Dorothy Dixer questions. She said she would prioritise trying to reconnect with voters feeling disconnected from the political process. She also said water management would be a top priority for her in western NSW after saying the loss of huge Nationals seats like Barwon and Murray was a "cry for help" from those people. "You can't predict what will happen in the future, but so long as I have the support of the community and my colleagues I will always serve." She said that following her win on Saturday night, she felt it was important to listen to "the silent majority". "Sometimes the loud minority are blurring them out," she said. With 73 per cent of the vote counted, The Liberal Nationals had 42.2 per cent of the primary vote, well ahead of Labor on 33 per cent. 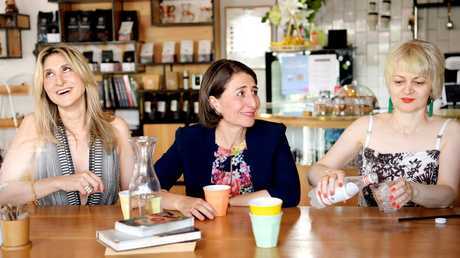 EXCLUSIVE: Gladys Berejiklian personally dialled in to daily 6am phone hook-ups with an inner circle of ministers and staff to micro-plan every turn of the Liberal campaign. The Premier's involvement on a day-to-day basis was praised yesterday by even her detractors, as they reaped the spoils of what was effectively a lacklustre campaign that came up trumps in the polls as the party was swept to a rare third term in office. This was a campaign in which Labor had turned to seasoned streetfighters - Bruce Hawker, Eamonn Fitzpatrick and Kris Neill - to run a sophisticated attack on the government. But in the end, their political smarts could not insulate them from Michael Daley's mistakes. The Liberal campaign was almost the exact opposite - a serviceable assault­ at best run by staff with far less experience playing in first grade. Consultant Bruce Hawker worked on the 2019 campaign for Labor. They won because the Premier could manage the gruelling hustings, falling back on her strength in detail to outdo Mr Daley at the final turn. The Liberal campaign office, run by Chris Stone - the man who saw the Liberals win the tough Bennelong by-election against Kristina Keneally in 2017 but lose the unlosable Wagga by-election last year - was repeatedly criticised for sticking to plans and failing to deviate from strategy at all costs. Mr Stone was on the pre-dawn phone hook-ups, which also included senior ministers Andrew Constance, Dominic Perrottet, Don Harwin, Brad Hazzard, John Barilaro and staff. In the weeks when Labor was riding high in the headlines on the back of a seemingly unstoppable momentum­, insiders criticised senior Berejiklian staffers for lacking agility and imagination. Things were so tense, senior Liberal­ staffers were briefing media on their own tactic suggestions to save face. The Premier was criticised for playing it too safe. As recently as one week before the poll, senior government figures were panicked that they would lose. Labor's internal polling figures were even stronger than those made public. The party believed even a majority­ government was possible. 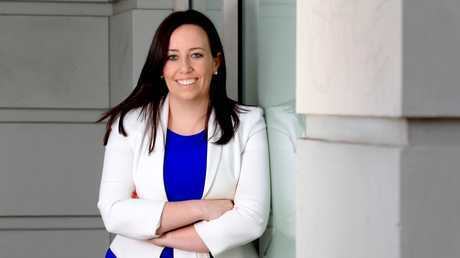 There was no doubt at week three of the campaign that Labor, led by General Secretary Kaila Murnain, had run a sensational ground game. At that point the brains trust running Mr Daley's office had out-politicked the Liberals on almost every turn. But then, the wheels came off. The first glimmer came when Mr Daley could not answer basic questions about his brand new tax hike, three weeks after announcing it. The press conference about his luxury car tax humiliated the leader, but the party was confident the class war essence of the party would be strong enough to dominate headlines. However, within days The Daily Telegraph published the video of Mr Daley making offensive comments about migrants from Asia. 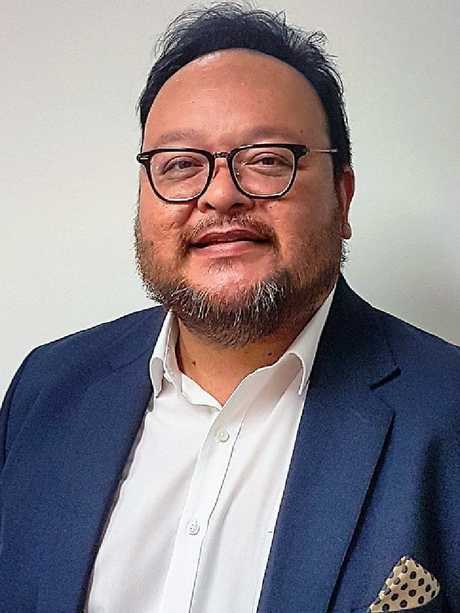 The party was still hopeful that the remarks, which were interpreted as racist, wouldn't cost too many votes in outer suburban areas and regions. But any votes saved there were lost when Mr Daley was exposed on live TV at the Sky News/Daily Telegraph People's forum for not knowing key budget details of his own policy. 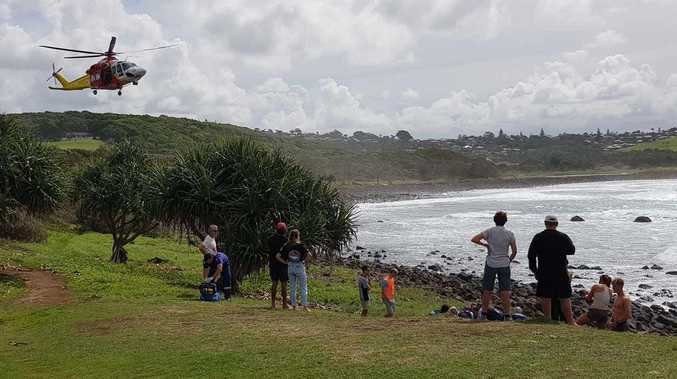 Inside Labor sources last night said they believed the debate performance savaged Labor's vote on the north coast, where elderly voters watching on TV were "stunned Daley could not add up". Another Labor figure said the party failed on the attack front. While the Liberal Party became renowned­ for having a "dirt unit" which focused on tactics and research, Labor did not land any significant blows on the government outside of policy. "We should have done more attacks on them," one Labor heavyweight said last night. "Our guys didn't find them." COMMENT: critics of Gladys Berejiklian have been put firmly back in their boxes. And make no mistake - by week three of this stunning election campaign, this group was growing steadily in number. As Michael Daley grabbed headlines and attention with his one-dimensional anti-stadiums crusade, Berejiklian's colleagues had become increasingly frustrated at their leader and her inner sanctum. They criticised her default to safety, they criticised her lack of salesmanship and they criticised her for failing to strongly go on the attack. Then came the fourth and final week. As the campaign turned on a dime, the Premier's attention to detail and workmanlike approach was vindicated for all to see. Her strengths were amplified by Daley's failures. And now, she gets to do things her way. In truth, Daley lost the campaign in the end and the Premier's steady, serviceable plodding saw her bring it home, tortoise and the hare style, while he flamed out. 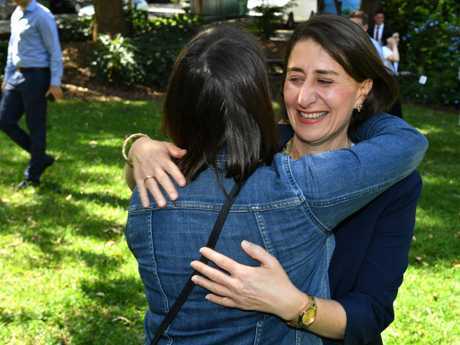 If Berejiklian had come close to being forced out of government, it was likely her colleagues would have moved to replace her within 12 to 18 months. Instead, she has bought herself some time and her grand success in securing the Coalition a third term for the first time in 50 years will ensure she has the good will of her party. She is wisely moving already to shore up support on the crossbench by doing a deal about parliamentary reform. This will begin to protect her in the case of by-elections threatening her hold on a majority parliament. Yesterday, when I asked Berejiklian if she could commit to the full four-year term, she said that was her "intention". She added that anything could happen, but if she had the support of her colleagues and the community she would continue to serve. Anything can happen, but for now she has been given the confidence to do things her way. Scott Morrison's hopes of holding on to marginal seats at the May federal election have been buoyed by the state election result. 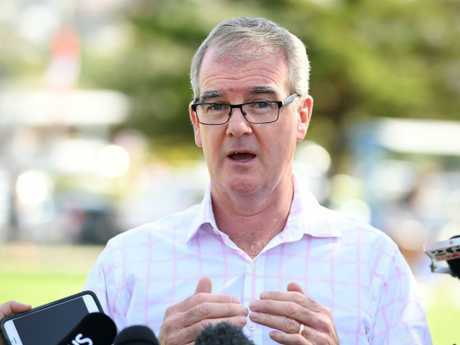 On the South Coast in the electorate of Gilmore the prime minister can take heart that results in the corresponding state seats strongly favoured the Liberals. And if the swing toward the Liberals in state seat of Oatley was replicated it would help Immigration Minister David Coleman retain the federal seat of Banks, which he holds on a slim 1.4 per cent margin. It comes the week after Galaxy polling for The Daily Telegraph revealed Mr Morrison was a secret weapon in East Hills - the other state seat which sits within Mr Coleman's electorate of Banks. The Liberals would also be able to retain the seat of Reid if the swing toward Labor is as minor as that recorded in the same area at the state election. However, Nationals MP Barnaby Joyce has likened the threat posed by the Shooters, Fishers and Farmers party to that of One Nation in Queensland and warned that it had the potential to claim safe regional seats such as Parkes and Farrer. Mr Joyce was frank about the Nationals' rural wipe-out in NSW, which he blamed on green tape and "drought support, or lack thereof". "The only regional city we still hold is Tamworth," Mr Joyce said. "The person in the weatherboard and iron thought we were more fascinated in anthropomorphic climate science than their power bill. "The ones in the south want water for their economy before SA's pelicans. 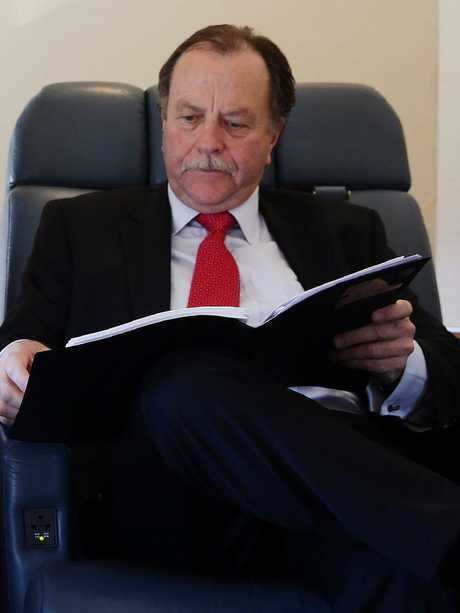 "And in Barwon the retiring member (Kevin Humphries) left the seat before his job actually finished." 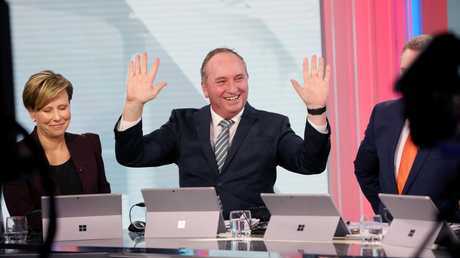 Mr Joyce was confident farmers would back the Nationals federally because protest parties couldn't be trusted to handle free trade deals, live export, decentralisation and the inland rail. 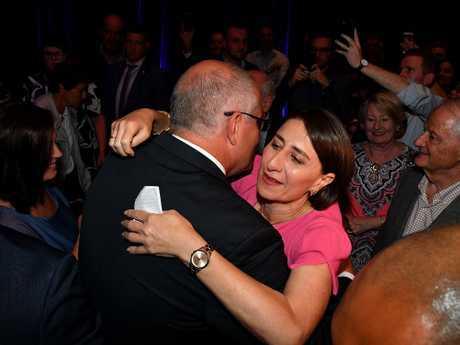 Liberal Senator Arthur Sinodinos said the result from the NSW poll had been a "morale boost", citing similarities between the federal and NSW governments. "It showed a government that's managing a strong economy, is delivering infrastructure and is getting on with the job of meeting the needs of people in the broad … will ultimately be rewarded," he told the ABC. Federal Opposition leader Bill Shorten said Labor's loss in the NSW election would not thwart his campaign to become Australia's prime minister. Mr Shorten conceded that one lesson to be learned from the state vote was the importance of putting forward a vision for the future. Eamonn Fitzpatrick also worked on Labor’s state election campaign.